Industrial pipes are used in gas, chemical and water industries, and power generation – and these pipes must be prepared and installed correctly to prevent accidents from occurring. Industrial pipe welders have a tremendous amount of responsibility when ensuring that their work is up to industry standards. Industrial pipe welders must ensure that their work does not jeopardize the lives of people who use and rely on industrial pipes – and with great responsibility comes great pay. If you love the ocean, welding and challenging yourself, you can easily make $200,000 or more a year as an underwater welder. Underwater welding is a highly specialized form of welding that can take you around the world. Underwater welders are tasked with fixing and maintaining pipes on offshore oil rigs, as well as sealing leakages in natural gas projects. Military welders are tasked with maintaining military vehicles, equipment and infrastructure both at home and abroad. While military welders are typically stationed at camps, sometimes their work takes them into the field – which obviously poses some risks, so these welders are compensated accordingly. A military support welder can make well over $100,000 per year. Sheet metal welders, or TIG welders, are skilled professionals who can make between $60,000 to $80,000 per year. When you consider the way the economy has treated other industries, and the in demand nature of welding, it’s an attractive career choice for many people. If pay is a driving factor for your current or future career decisions, you might want to consider a career in welding. 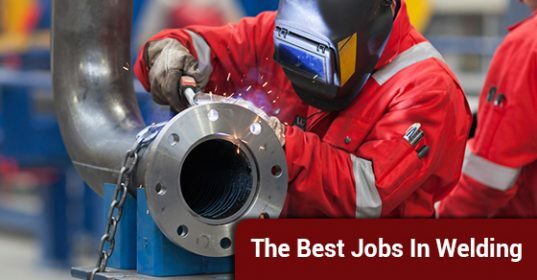 Even more, if responsibility and excitement is something that you’re looking for, then you should take the steps to pursue any of the above 4 welding careers in Ontario.